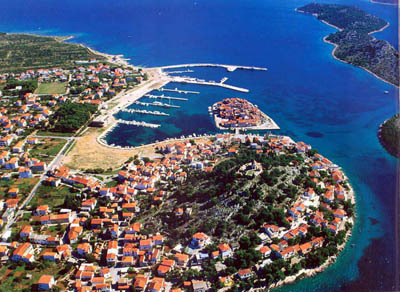 Tribunj is well known fishermen's and tourist village short mile away from Vodice. Its historic center is situated on an isle connected to mainland with short stone bridge. On shore, on top of the hill, overlooking whole village, in 1452 AD a church of St. Nikola was built, while on its foothill in the village there is new parish church of "Velika Gospa" Great Lady. One of Tribunj's best features is rich table of seafood served in fine reataurants. When you come you can stay in one of many private boarding houses and apartmensts. Or in camp if you prefer camping. 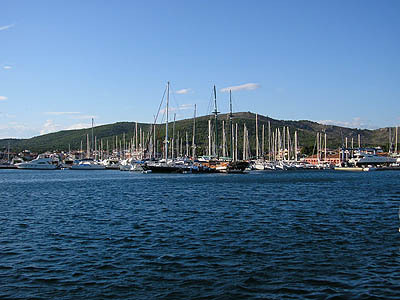 Or you can come with your yacht and stay in large new marina.